July 1983 witnessed one of the worst ethnic cleansing programme methodically planned and meticulously executed by the then JR government and its hoodlums ably assisted by the security forces and some ministers. The whole country was immersed with flames of fire and hatred towards the helpless and hapless innocent Tamils. The killing of thirteen soldiers on 23rd July 1983 by the LTTE in Jaffna provided the government with an excuse to embark on a killing and looting spree after the burials of the soldiers in Kanatte. Innocent Tamils seen on roads or travelling in buses were dragged, killed and/or set on fire alive. Tamil business and establishments were looted and burnt. Tamil homes were identified with the help of voter’s lists, and were looted and burnt. All these inhuman and uncivilised acts sponsored by the JR government went on unhindered for a week. 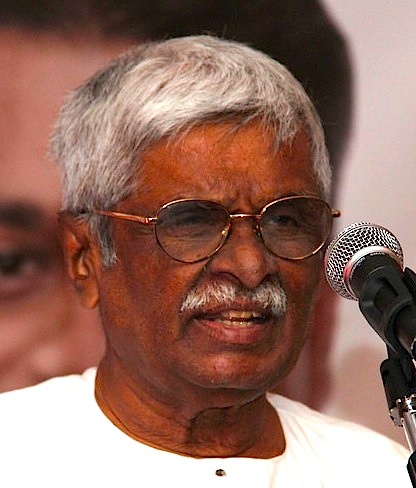 Once the dirty mission was accomplished Jr. justified the mayhem by saying that “this is the natural response of the Sinhalese against Tamils”. The previous state sponsored riots in 1956, 58, 77 and 81 enthused and acted as incentives for the 1983 progrom. July also unfolded the most daring and distressing events for the Eelam Tamils. The daring suicide attack by Miller destroyed the army camp located at Nelliadi Central College. The brutal massacre of 53 persons including Kutimani, Thangathurai, Jegan and Dr. Rajasundaram and in the Wlikade prison with the blessing of JR government horrified the world. The subsequent mayhem unleashed by pre-arranged UNP thugs went on for one week with security forces standing and enjoying the lootings and killings. The Tamils all over the island except those in the North and East became instant refugees with nothing in their possession except their lives. They were then transported to North and East, the homeland of Tamils to ensure their safety. The writer of this article would like to state that the Tamils took refuge in the Tamil Eelam areas whether be Jaffna, Vavuniya, Mannar, Batticaloa or Trincomalee. But the 1983 genocide told us in a telling language that we are not safe even in our traditional Tamil homelands. The writer would like to quote late Lamented Vanniyasingam of his warnings following the 1958 racial ritots to us that “a stage may come, that we may not be safe even in our homelands and we may be dumped in the Indian Ocean. He was charged as a prophet of gloom but his prophesy had been proved right, that’s why we, Tamils, are a nation of refugees without a land of our own. This ethnic cleansing awakened the Tamils to a new phase of self-recognition and defiant methods to face and resist the Sinhala brutalism. The battered Tamil youths in thousands joined the militant movements to fight the Sinhala security forces militarily. LTTE became the most dominant and aggressive force which for thirty yeaars spread, panic and fear among the Sinhalese and also to the governments which ruled until 2009 May when international complicity spearheaded by India lead to its defeat. The current Tamil political situation is fluid and volatile. Tamils and their political leaders are searching for solutions and a viable political agenda to salvage the Eelam Tamils who are now being suffocated with the security forces their basic fundamental rights being trampled, their safety being threatened by government stooges and state sponsored thugs. 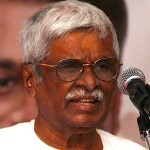 The Eelam Tamils and Diaspora should rise to the occasion and stop the sinister schemes of Rajapakses. A united front is the need of the hour and co-ordinated joint action involving the public with mass agitations, demonstrations and civil disobediance campaigns are the legitimate weapons which have to be resorted. Undoubtedly, the international community has realised the hyprocrisy of Sri Lankan governemnt and has put the Sri Lanka in dock to answer many questions which remain unresponded. So far the Tamils worldwide have to exploit this opportunity fast and not to allow this momentum to slip away as an opportunity once lost is lost forever. What’s Wrong With Packer And His Casino ?